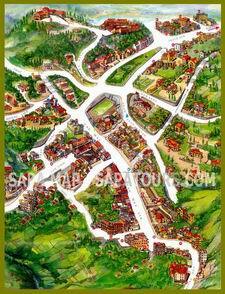 Royal View Hotel is located at the end of the Cau May road in Sapa, just 100m to Sapa market and 200 m to Sapa Church. About 20 minutes walking to Cat Cat village and 10 minutes to Ham Rong Moutain. For greater distances, guests may take a Russian jeep to Silver waterfall (a 20 minute drive) and 1 hour from Lao Cai train station (40 km). The Royal View Hotel gives the most comfort and convenience to guests in a friendly atmosphere that can meet the various standards of astute travellers from any background. Royal View Hotel is very well-known among independent travellers. Standard: rooms with balcony, 12 rooms are street view and 8 rooms are mountain view in 24m2. Superior: rooms with fireplace & balcony for mountain view in 24m2. VIP: rooms with two side balconies offer magnificent view of the Hoang Lien Son mountain in 24m2.